Make sure all your tenants are signed up in the NowRenting resident portal. 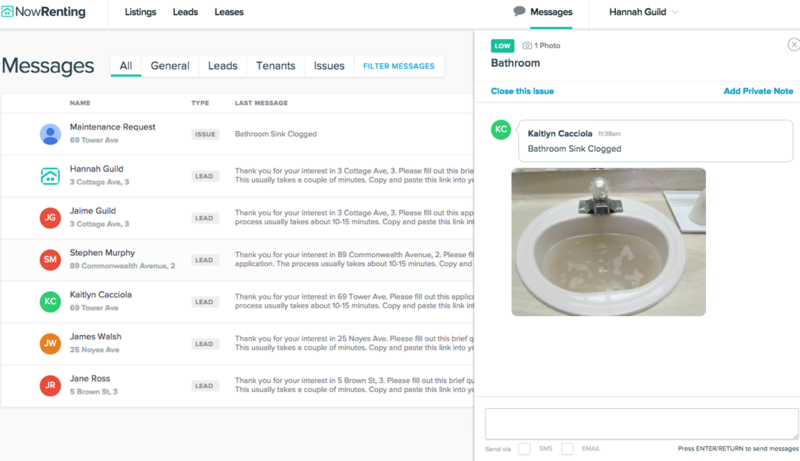 Tenants will be able to submit maintenance requests from there directly into your message queue. Any new message will light up the Messages icon green. 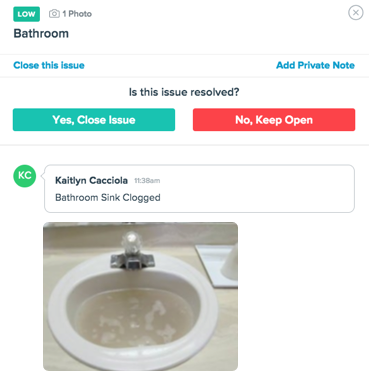 Click on Messages to see your new message, which will appear under the Issues category if it represents a maintenance request. Once you click on the new message link, a message tray will pop out on the right-hand side. Here you can see further details about the message, including pictures. You can reply to the message, close the issue or add a private note. Notes are not visible to your tenant. As well as receiving issues submitted by your tenants, you can create new issues. 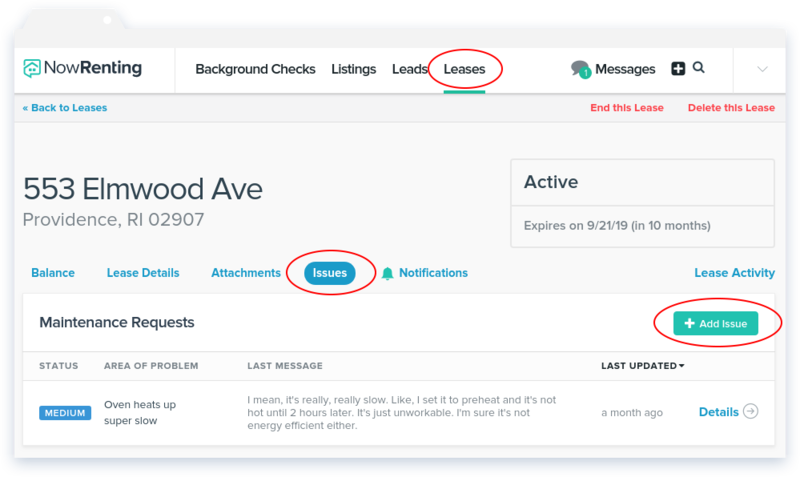 Navigate to the Issues pill for the Lease and click Add Issue. Fill out the relevant information, and be sure to select the appropriate priority level. 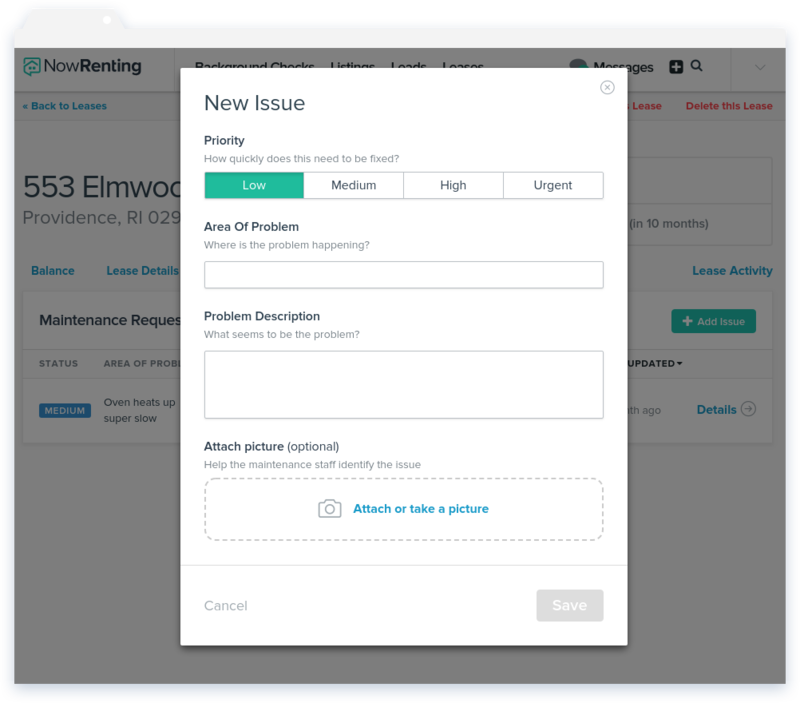 Note: clicking on the Details link for an issue created by you or your team will bring up an Edit Issue window, which will allow you to make changes to the details of the issue. 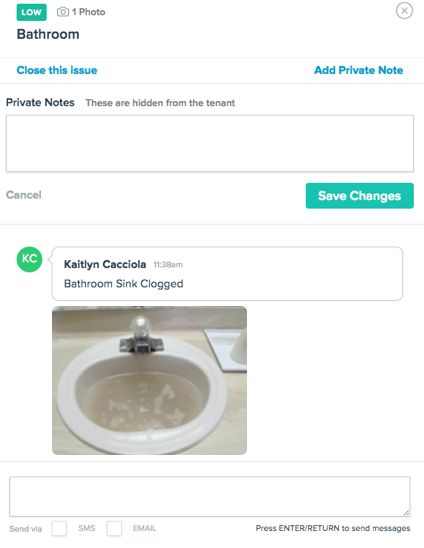 If the issue was submitted by a tenant, clicking Details will bring up your chat history with that tenant.